If you're a regular reader or follow me on Instagram here, then you would have seen my love affair with Coast To Coast skincare over the last 2 months. I was originally sent 3 products and I fell so in love with them that I have bought 4 more. They're stocked in David Jones, so I loved being able to have a play around with the testers before I bought them. Because I have pigmentation post pregnancy, I've stuck with the "Skin Illuminating" range. This is a classic micellar water. I really love the packaging. It has a pump dispenser!! I usually use three pumps on a make up pad and use 3 pads to make sure all of my makeup is removed. I try not to use this often as I prefer a deep cleanse with an oil or balm, but love this for those nights when I'm just too tired and want to be in bed straight away. I like this as a face cleanser, but I get a gentle sting if I get it near my eyes. I really like this but would most likely purchase the Ultra Soothing Cleansing Water rather than this as it may be gentler on my eyes. I'm a huge fan of cleansing oils and balms, so I was more than happy to buy this from David Jones. I really like the packaging. It's clear so you know when you're running low. It also has a pump, which makes life so much easier. Even though it's an oil, it rinses off easily the very first rinse. I could even skip a 2nd rinse as it's not the type of oil that's heavy on the skin. I would happily repurchase this. I wasn't quite sure how well this would go with my skin, as foaming cleansers seem to be quite drying on my skin. But the more that I use it the more that I love it!! It reminds me a lot of the Antipodes Juliet Brightening Gel Cleanser, but nearly half the price. I like that it cleanses my skin without making it feel dry or tight. It contains salicylic acid to help reduce breakouts, which has been a life saver for me since I've been breaking out lately. I use it both morning and night and only need a 5c piece amount, so this will last me for quite a while. 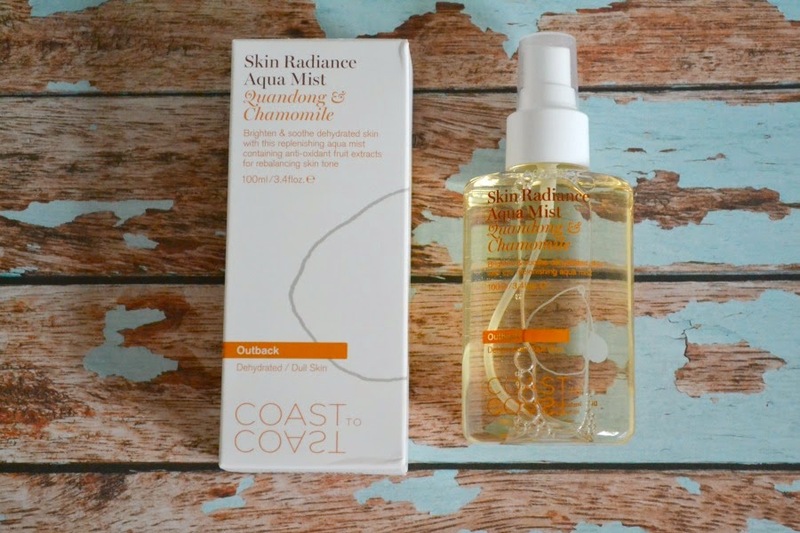 This toner is a lovely toner that refreshes and hydrates my skin. It has a spritz which makes it easy to use. I either will spritz a make up pad and apply it to my skin, or I will spritz it onto my face and pat it into my skin. While I like this, I probably wouldn't purchase it as I would prefer to use their "Ultra Soothing Aqua Mist" instead since I like to use a toner to calm my skin of any redness. This is the moisturiser in the skin illuminating range. It contains sunscreen, so I only use this as a day moisturiser. 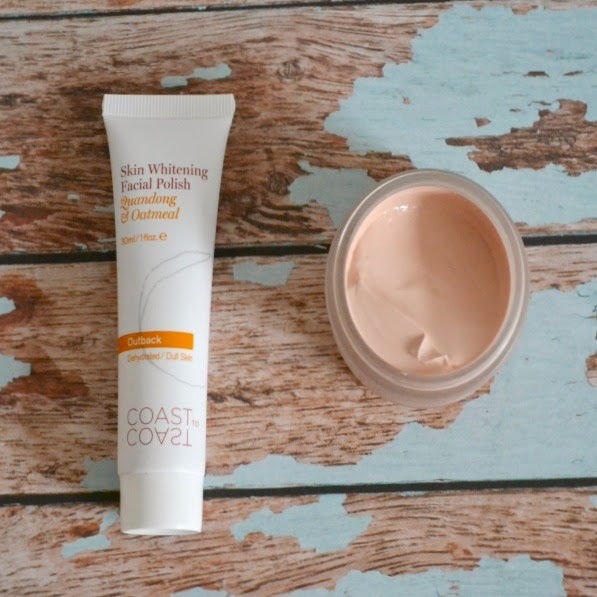 Because it contains sunscreen, it does feel thicker than your average moisturiser. If you have dry skin, you'll love this, but if it's combination or oily, you'll find it too heavy. I received a deluxe sample of this when I bought the cleansing oil and after the first use I went out and bought the full size. If you only ever try one of their products, then make it this!! It's an amazing scrub that smells incredible. I wish all of the range smelt like this. In the last few years brands have turned their backs on manual scrubs and favoured very gentle scrubs that don't actually feel like scrubs. This one has granules so you actually feel like you're exfoliating. They're small and very gentle on the skin. I use this every 2nd to 3rd day, depending on how my skin is feeling. Coast To Coast have 3 different masks and they're all clay based. They recommend using it for 10 minutes, but I find it starts to dry out my skin after 5 minutes, so I need to wash it off. 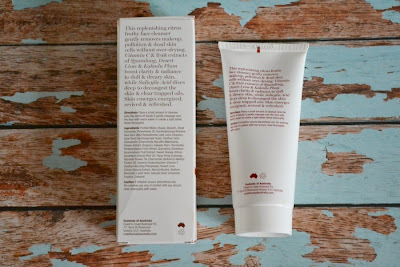 I received a deluxe sample of the Ultra Soothing White Clay Mask and I can apply it on for 10 minutes. White clay is gentler, so I would suggest trying that one first, unless you have oily skin. I like how each range is colour coded. If you're in a store, having it all set up into the different colour ranges makes it so much easy to find products and find the range to suit your skin. I'm also impressed with the amount of information on the packaging. Again, when you're there buying the products, having all that information just makes it less likely to find a product disappointing since it has all the information that you need right there. If you're interested in the brand, my must haves are the oil cleanser and exfoliator. David Jones stocks the 3 ranges as well as their body products (I haven't tried any of them). Sephora in Sydney and Emporium Melbourne also stocks them but I'm unsure about how much of the products that they stock. For those in the US, Ulta stocks them. You can also order them online here. They also have 3 other ranges available online as well as haircare and lip balms. I'm really interested in the Cellular Recovery Radiance Serum and Desert Peach Lip Balm. 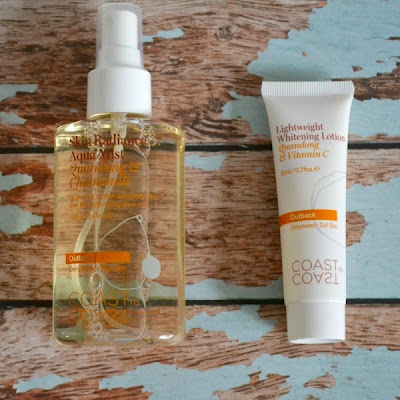 Both aren't available at David Jones, so I'll have to order them online when I've run out of the cleanser and scrub. 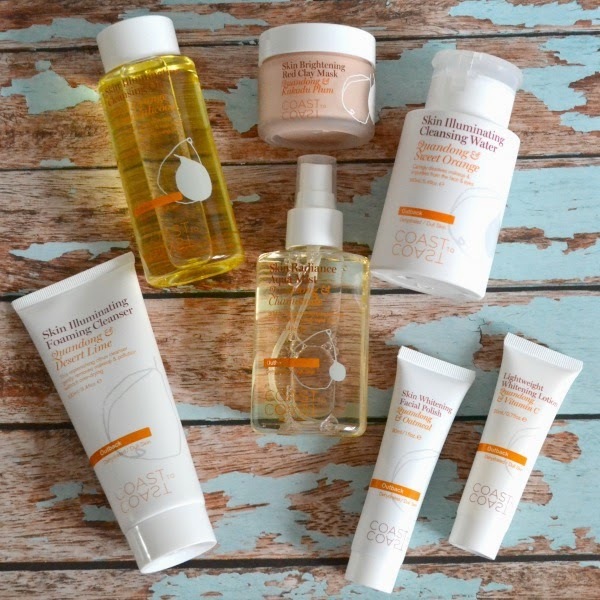 Have you tried any of Coast To Coast's products? These look interesting and are not too badly priced either. Great review! The prices are really great!! Everything is really affordable and a generous size too. 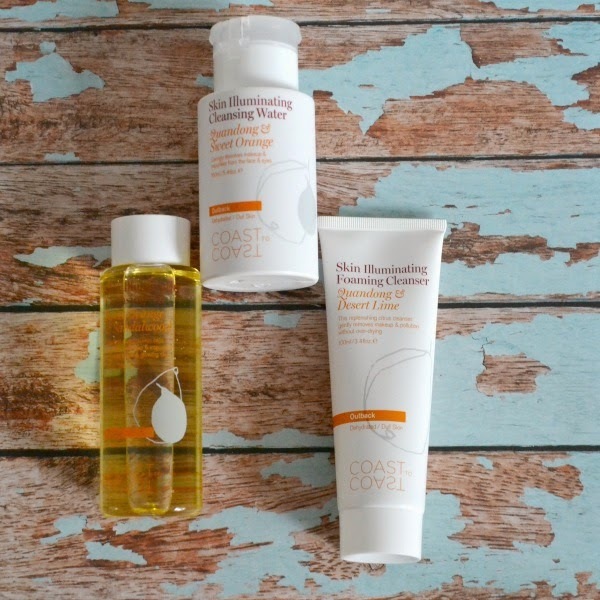 The cleansing oil is my favourite. It's such a great cleanser for removing my make up. I found some of their products at Ulta in the US.